We all know the drill. Try to promote your stuff on Twitter, share some uplifting/useless quotes on Facebook and then marvel at your company’s “social presence”. That’s all fine and dandy, but we thought it might be cool if we could harness this “reach” and actually do some good (at least for a day or two!). By “we” I mean the commercial real estate community. 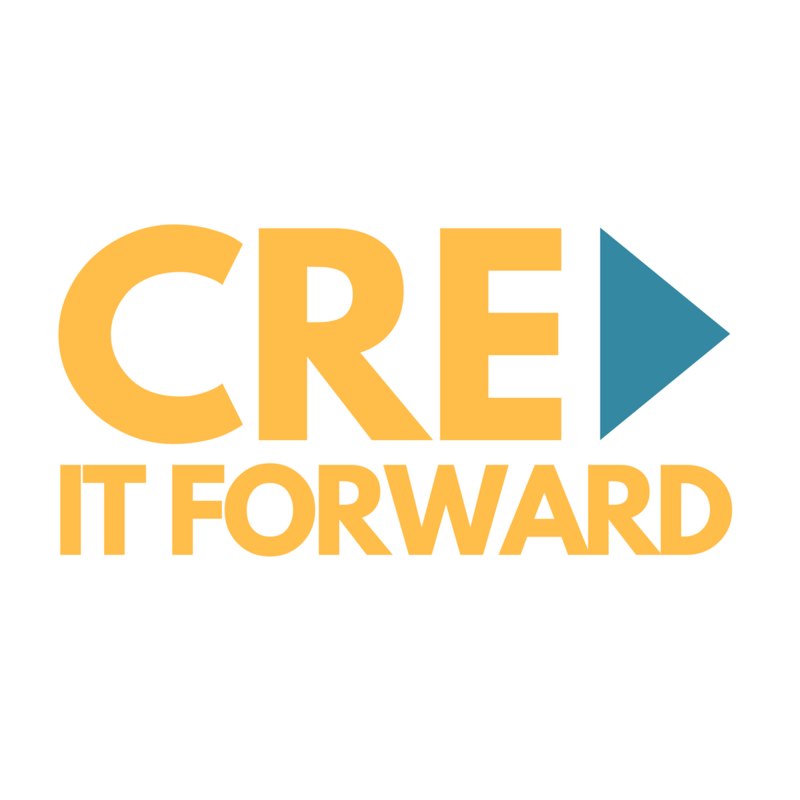 The idea behind Cre It Forward is super simple and it just might help a whole lot of people. 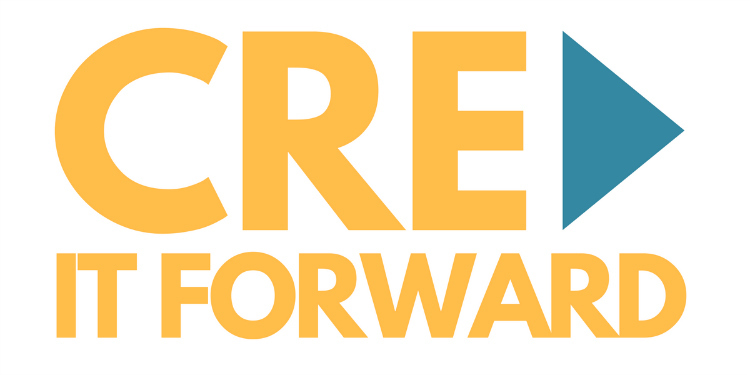 Just tweet (or post on Facebook) one or two of your connections the hashtag #CREITFORWARD and challenge them to give a little. Our goal is to try and help our favorite charities throughout the year and show the world what a powerful impact the commercial real estate industry can make. And feel free to copy and past this logo to help spread the word!